Dr. David Sitzer earned his Ph.D. in clinical psychology from Central Michigan University (CMU) after completing a pre-doctoral internship at Duke University Medical Center focusing on neuropsychological assessment, rehabilitation, and cognitive behavioral therapy. He completed his postdoctoral fellowship at the University of California, San Diego (UCSD), Division of Geriatric Psychiatry where his research focused on neuropsychological abilities and the improvement of daily functioning among the elderly and people with severe mental illness. 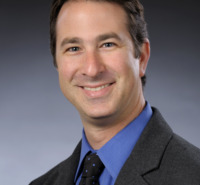 Dr. Sitzer joined the Chicago School of Professional Psychology at their Los Angeles campus in 2008 as the lead faculty for the Clinical Psychology program after serving as the Chair of the graduate psychology programs at the American School of Professional Psychology at Argosy University in Los Angeles. He has taught courses at CMU, San Diego Mesa College, and Argosy University, seminars at UCSD, and supervised the research and clinical work of graduate and undergraduate students. Dr. Sitzer has provided both inpatient and outpatient psychological services at medical and psychiatric hospitals in the departments of neurology and psychiatry. He has worked in residential treatment facilities, rehabilitation centers, the Veterans Administration system, and community counseling centers. He has published research in the areas of identifying memory impairment, screening for cognitive impairment, psychosocial interventions for Alzheimer's disease, successful aging, and improving cognitive and daily functioning among people with severe mental illness. Dr. Sitzer's current interests include integrating neuropsychological assessment with psychosocial interventions to improve the daily functioning of older adults and people with severe mental illness. His clinical practice focuses on providing neuropsychological assessment, cognitive rehabilitation, and cognitive behavioral therapy for older adults and people with severe mental illnesses. His current research focus is on the development of psychosocial interventions to improve cognitive and daily functioning of people with severe mental illness. Sitzer, D.I., Twamley, E.W., Patterson, T.L., & Jeste, D.V. (2008) Multivariate predictors of social skills performance in middle-aged and older out-patients with schizophrenia spectrum disorders. Psychological Medicine, 38, 755-763. McGurk, S.R., Twamley, E.W., Sitzer, D.I., McHugo, G.J., & Mueser, K.T. (2007). A Meta-Analysis of Cognitive Remediation in Schizophrenia. The American Journal of Psychiatry, 164, 1791-1802. Depp, C.A., Moore, D.J., Sitzer, D.I., Palmer, B.W., Lebowitz, B.D., Jeste, D.V. (2007) Neurocognitive impairment in middle-aged and elderly adults with bipolar disorder: Comparison to schizophrenia and normal comparison subjects. Journal of Affective Disorders. Manuscript accepted for publication. Moore, D.J., Sitzer, D.I., Depp, C.A., Montross, L.P., Reichstadt, J., Lebowitz, B.D., & Jeste, D.V. (2007) Self-administered cognitive screening for a study of successful aging among community-dwelling seniors: a preliminary study. International Journal of Geriatric Psychiatry, 22, 327-331. Sitzer, D.I., Twamley, E.W., & Jeste, D.J. (2006) Cognitive Training in Alzheimer Disease: A meta-analysis of the literature. Acta Psychiatrica Scandinavica, 114, 75-90.